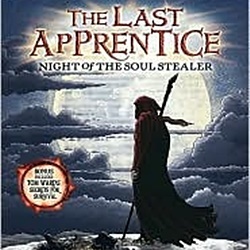 The Last Apprentice series is a young adult fantasy series by Joseph Delaney. 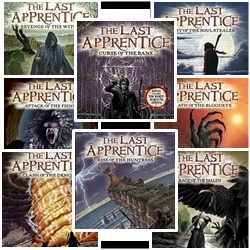 The series chronicles the apprenticeship of Tom Ward as he learns how to become a Spook and fight off the various faces of evil that lurk in the darkness. Tom learns from Old Gregory who has been the reigning town Spook for a while and who is fast approaching retirement, after which Tom will take his place. Unfortunately for Tom that means he needs to learn what he must know to do the job on his own before that time comes, and there's a lot he needs to know to do the job properly. 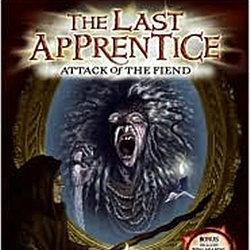 Being a Spook's apprentice is both dangerous and lonely, but Tom is the Spook's last hope, so he has to stick it out and learn the trade so he doesn't disappoint his Mam and because he's the very last apprentice left who can do it. This is a series with lots of action and adventure for readers who tend to gravitate more toward books that keep it interesting. 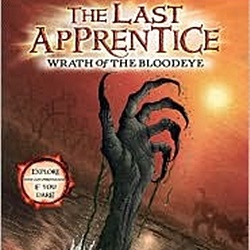 My husband loves this series and actually rates it in his top ten so it's definitely worth a read. Once you get past the first book, which has a little bit of action but more world building and character introduction, the story really picks up and only gets better from there. He's the only one who can do the job of a Spook and it's up to him to learn how to do it before he has to take over for Old Gregory. After having been tricked into helping Mother Malkin- one of the deadliest witches in all of the world- escape, Tom is responsible for recapturing her. Tom is left to rely on all he's learned from the Spook and a little bit of help from his bew friend- Alice, to stop Mother Malkin from wreaking havoc on the county. 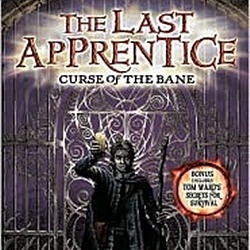 Curse of the Bane is an action packed volume in a really great series so far. This is a fast paced read that will likely have you speed reading to avoid having to put it down and go to bed. Tom and the Spook have their hands full in Priestown what with avoiding the Quisitor and coming up with a plan to get rid of the Bane. Unfortunately, the Quisitor captures the Spook and Tom is left to work things out on his own. With the help of Alice and Old Gregory's brother, Tom takes on the challenge of freeing the Spook before his death sentence can be carried out and rid Priestown of the Bane's evil. This book is recommended to Young adult fantasy readers, Children's fantasy readers, and anyone who enjoys a fun, suspenseful book with lots of action. Anglezarke holds the secrets of the Spook's past, and, if uncovered, those secrets could wreak havoc across the country. It doesn't take Tom long to learn the truth about how utterly terrifying it can be to fight the creatures of the dark. What lurks on the edge of the dark? 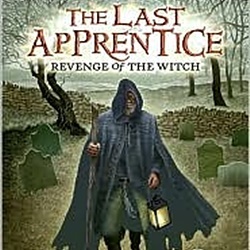 As the weather grows colder and the nights draw in, the Spook and his apprentice Tom Ward must be even more vigilant in their battles against the boggarts, witches, and ghosts roaming the country. When they receive an unexpected visitor, the Spook decides it is time to move to his winter house in Anglezarke. It is a bleak, forbidding place, full of witches and secrets. Tom hears rumors of menacing creatures stirring on the moors nearby, including the evil beast called Golgoth. Who was the mysterious visitor? And is Tom prepared for what he will find in Anglezarke? 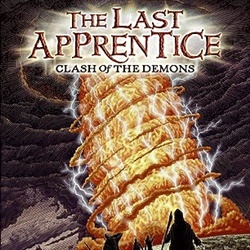 The three most powerful witch clans have united in an effort to raise the Devil himself. And Tom and the Spook must travel deep into enemy territory to stop them. But before setting out for Pendle, Tom has to return home for a set of trunks his mother left him. But Tom ends up on his own and questions whether or not he has the courage courage and cunning to face such an evil. Can he defeat the most powerful enemy he's ever come up against? Once Tom completes his training he'll be able to sense a threat from anywhere and fight to the death. The Bloodeye is looking to end Tom and he is once again facing down a dark, dangerous enemy without the assistance of the Spook. You won't know how it ends until the very last page, and the constant plot twists only add to the suspense of the story. While it is a rather long book at 500 pages, it's an easy read so don't let the length sway your decision. There is a lot of action and a lot of dark, lesson learning moments throughout the story that give the main character opportunities for growth and there is plenty of excitement to balance out those lessons to keep even the pickiest readers interested. Ordeen, one of the most dangerous of the old gods, is about to return, and Tom's mam has gathered a powerful army to fight her. But the Devil himself is still loose and if he and the Ordeen join forces, a new age of darkness will descend. As the Spook's apprentice, Thomas Ward's first duty is to protect the Country from ghosts, boggarts, and other dangerous creatures. But now his mother has come back from her homeland to seek his help. One of the most dangerous of the old witches, Ordeen, is about to return to earth, bringing with her suffering and devastation. Tom's mother has mustered a powerful army- including Tom's friend Alice, the Pendle witches, and the assassin Grimalkin- to confront Ordeen. If Tom joins them, the Spook will refuse to take Tom back as his apprentice. What sacrifices will be made in the battle against the dark?